I encourage all Kentuckians to join me in saluting Kentucky’s agriculture industry during National Ag Week this week and National Ag Day on Thursday. Agriculture provides the food and fiber we all depend on. Agriculture also generates billions of dollars in economic activity and thousands of jobs. I am proud and humbled to play a small part in this essential industry. · Kentucky is leading the way in restoring commercial hemp production to the United States. Two Kentucky lawmakers – Senate Majority Leader Mitch McConnell and U.S. Rep. James Comer – helped pass a farm bill that removed hemp from the federal list of controlled substances. I submitted Kentucky’s hemp plan to the U.S. Department of Agriculture minutes after the farm bill was signed, making Kentucky the first state to do so. The Kentucky Department of Agriculture has approved cultivation of more than 50,000 acres of hemp in 2019. · Kentucky Proud, the official state agricultural marketing program, is a national model with more than 7,000 members and millions of dollars of new income for Kentucky family farms and small businesses. · Kentucky Cattlemen’s Ground Beef, a project of the Kentucky Beef Council, is sold in Kroger supermarkets across the Commonwealth. Farm gate sales of Kentucky Cattlemen’s Ground Beef from 66 Kentucky farms totaled nearly $510 million in its first year. · Kentucky earned national exposure for its acclaimed local food movement when it served as the base of this season of Bravo’s “Top Chef” television series. · Kentucky’s rapidly growing bourbon industry is responsible for $8.6 billion in annual economic output and an estimated 20,100 jobs, the Kentucky Distillers’ Association reported earlier this year. Association member distillers bought more than 9 million bushels of corn and other grains from Kentucky farmers in 2017. · Kentucky’s world-famous equine industry generates $3.4 billion in economic activity a year and accounts for an estimated 80,000 direct and indirect jobs, according to the Kentucky Equine Education Project. · Kentucky is the leading beef cattle state east of the Mississippi River with more than 1 million beef cows as of Jan. 1. · Kentucky boasts two recently upgraded, state-of-the-art veterinary diagnostic laboratories – the University of Kentucky Veterinary Diagnostic Laboratory in Lexington and the Breathitt Veterinary Center, which is attached to Murray State University, in Hopkinsville. · Poultry and eggs are Kentucky’s leading agricultural commodity with more than $1 billion in farmgate cash receipts a year. · Kentucky is No. 1 in the nation in production of burley tobacco, dark fire-cured tobacco, and dark air-cured tobacco. · Kentucky ranked in the top 15 states in production of corn, soybeans, cattle, hay, and winter wheat in 2017. Kentucky is blessed with a temperate climate, fertile soils, and a rich agricultural heritage. 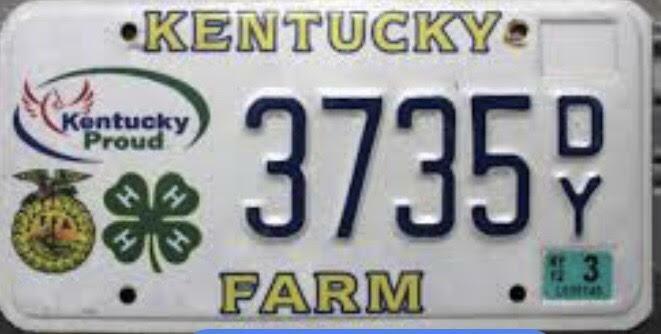 I hope everyone will honor Kentucky’s ag industry by buying Kentucky Proud wherever you shop or dine. And if you like to eat – like I do – thank a Kentucky farmer, on National Ag Week and all year long.